With a name like that, you’d better believe this dish is alive. 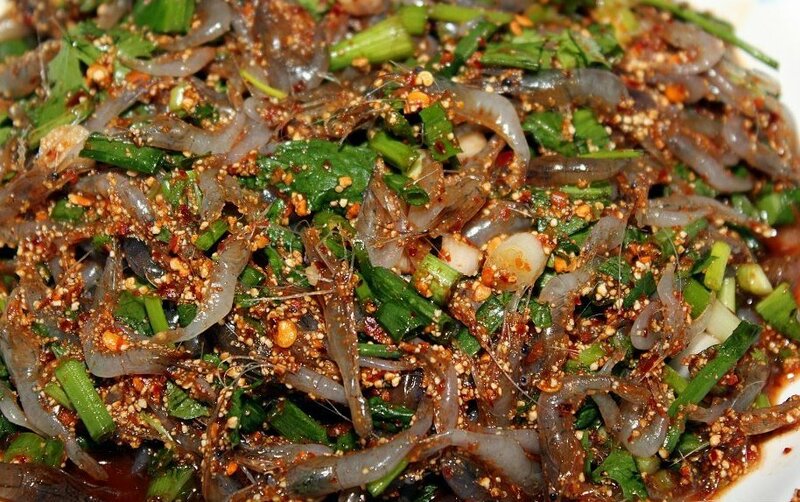 Dancing Shrimps or Goong Ten (กุ้งเต้น) is a crunchy mixed salad literally crawling with small little transparent shrimps attempting in vain to wiggle their way to freedom. 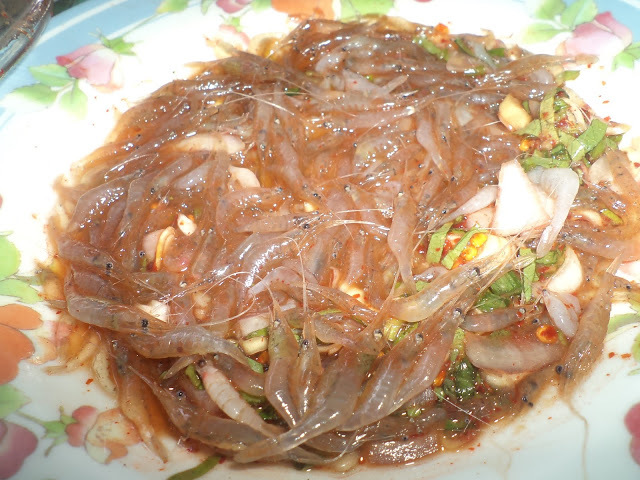 The shrimps are served with very spicy, garlicky, and limy sauce, and is popular in Northeastern Thailand. Northeastern Thais just love raw food so much, some food enthusiasts have opined that sushi, so identified with Japanese cuisine, might have originated from there (citation not included). Food blogger, Mark Wiens, admits that a spoonful of the dancing critters is both entertaining and delicious. After taking a bite, the shrimp rupture with saltiness and climax with a pleasant crunch. 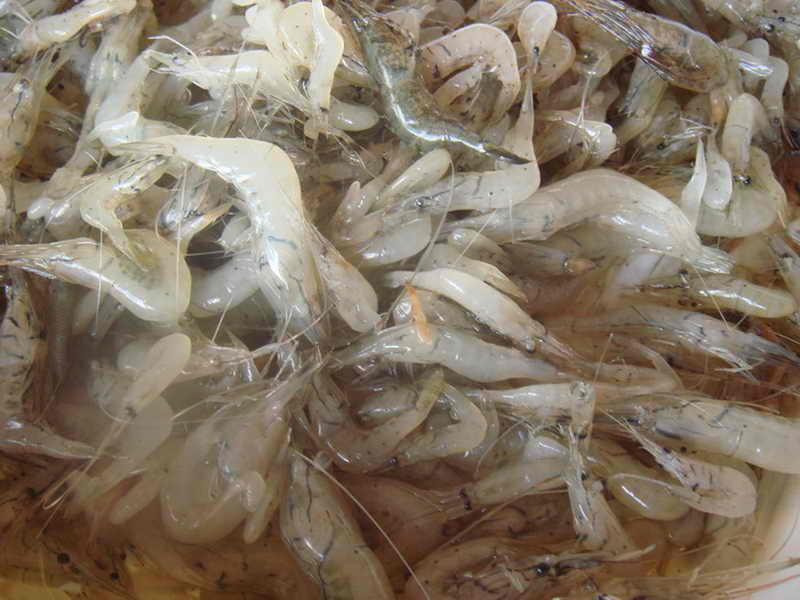 May those shrimps find their way to Nirvana with the help of Kasma Loha-unchit’s appetite.